Isn't that little girl cute? 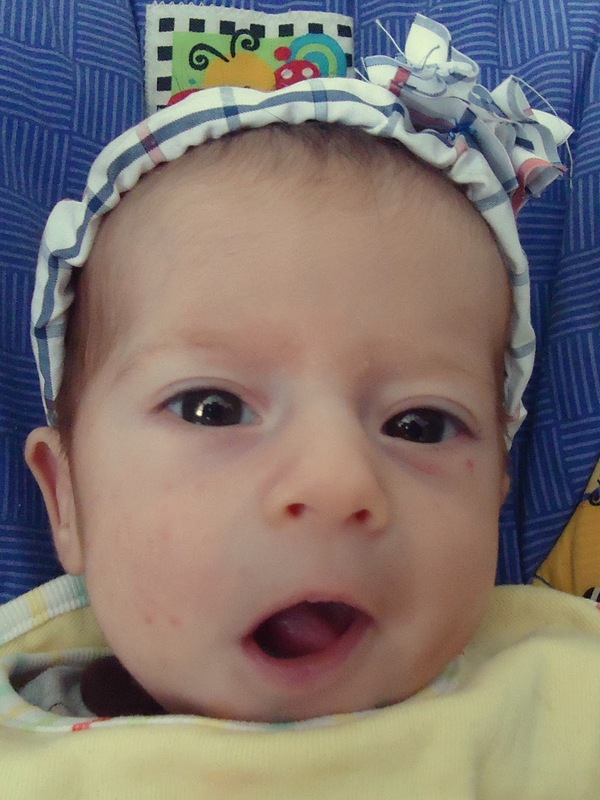 That's Lily in the picture above, my 10 week old daughter, sporting a headband I made for her. She is one of our twins born in January. The other twin is our baby boy, Palmer. He declined to wear a cute headband. The twins have been keeping me very busy, especially with nursing them. 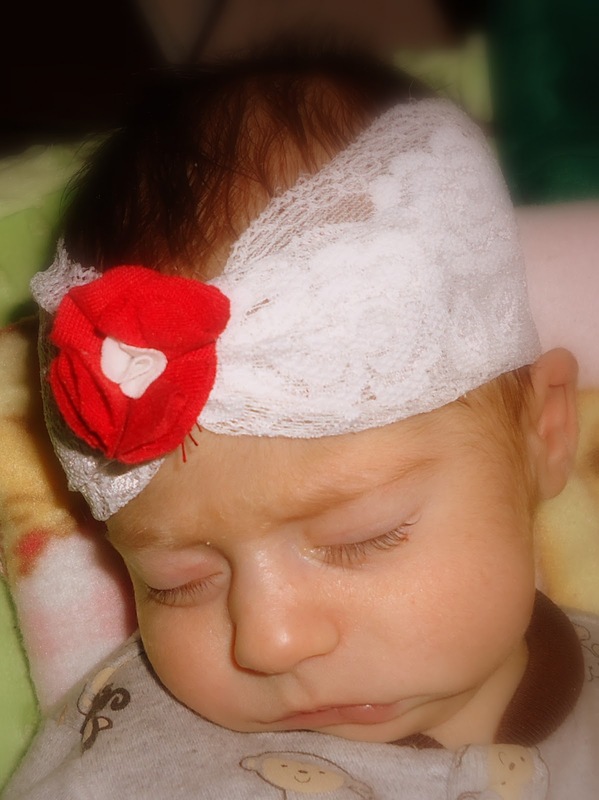 I worked on these cute headbands while I nursed the babies; it gave me something to do while they were eating. They are very easy to make, and are a great way to upcycle old clothes or use up fabric scraps. 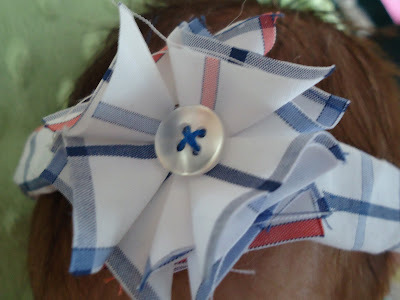 You will only need a bit of fabric, thread, optional embellishments, and elastic to make these headbands. 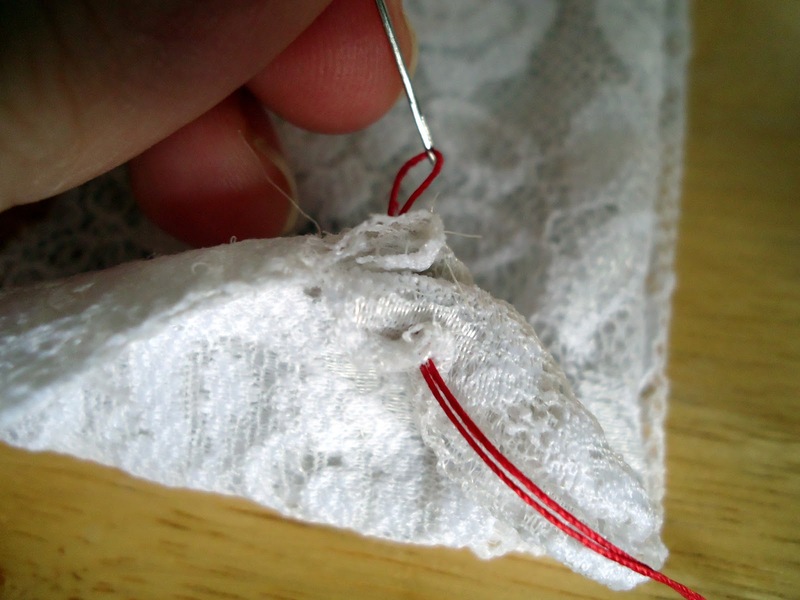 Chances are, you can salvage some fabric from a stained top, a button off an old shirt, or perhaps some elastic off of an old pair of pants. 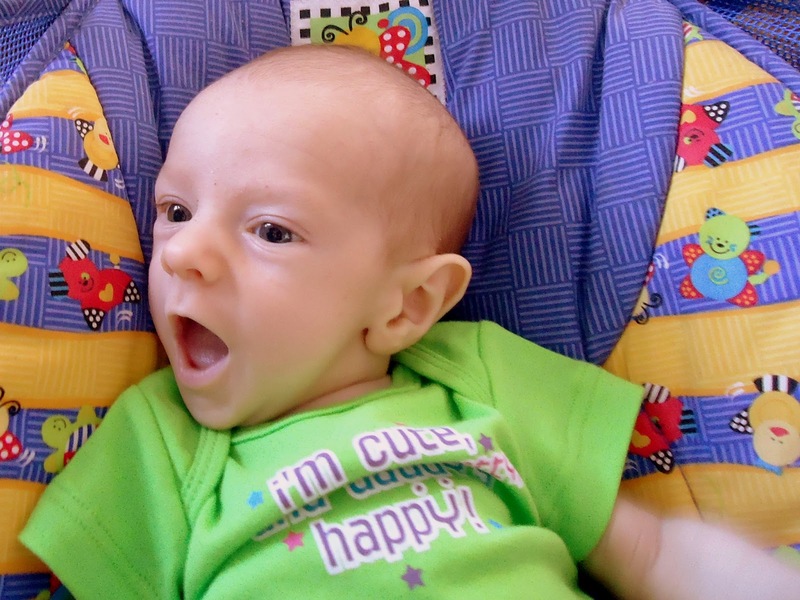 Keep in mind when you are choosing elastic however, that baby's head is delicate, so you will want something that stretches easily. 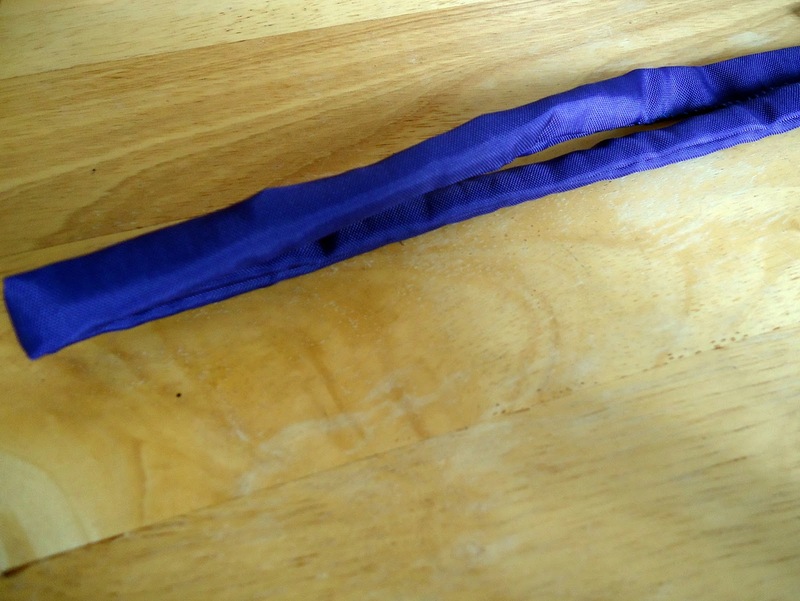 The elastic should probably be no wider than 1/2 inch, unless it is very supple and stretchy, like pantyhose. 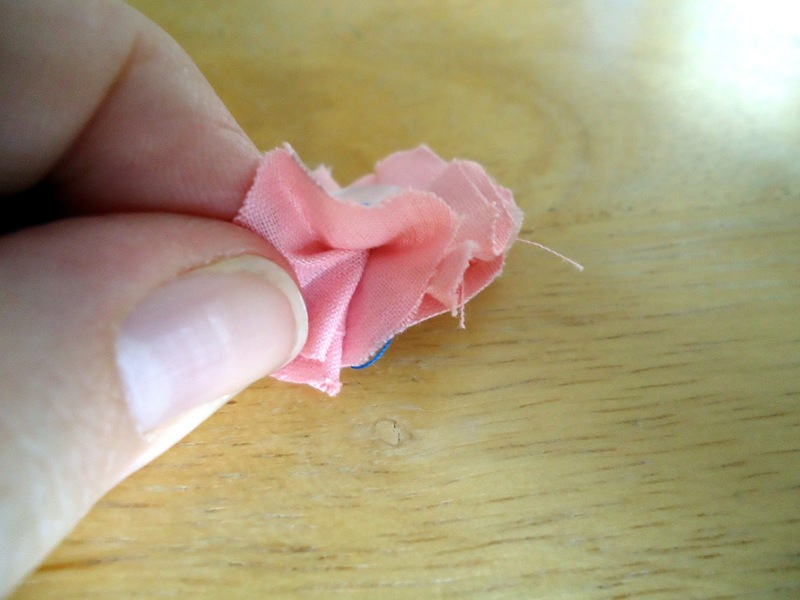 If you use thicker elastic, it can leave a mark on poor baby's head. There are three parts to this tutorial. 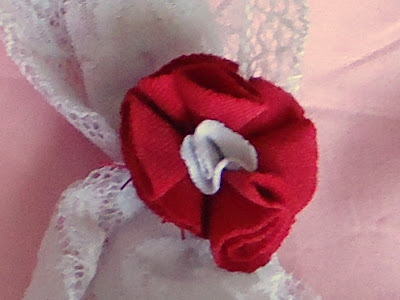 The first part will describe how to make a fabric flower that you can use to gussy up the headband. I tried varying sizes of flowers, and found that one inch circles seem to make the most eye-pleasing. I did make a big, gaudy, bright orange flower just for kicks though. Every mom has to embarrass their child at least once in their life (and that flower is probably just the beginning). 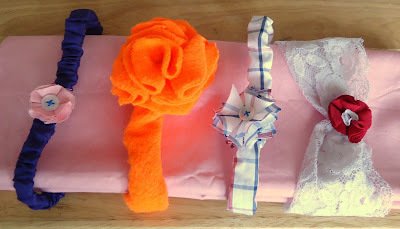 The remaining two parts of the tutorial will describe two types of headbands that you can make. Both are very easy, but I'd have to say Headband #2 is the quickest. Please let me know in the comments below if you have any questions or suggestions! 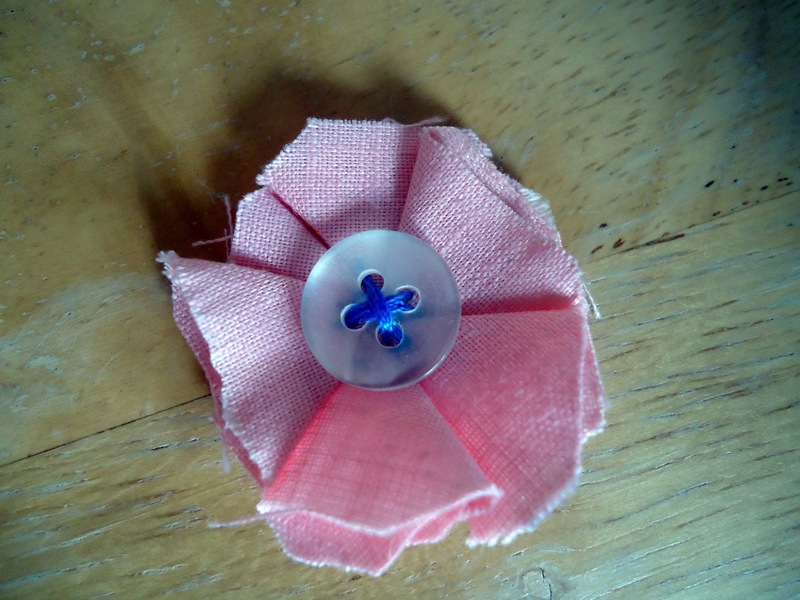 This fabric flower was made using squares, and has a rather pointy look. If you want to use circles, you can simply stack pieces of fabric, trace a circle onto the top, and cut them all out at once--the circles don't have to be perfect, no one will notice a bit of lopsidedness, trust me. 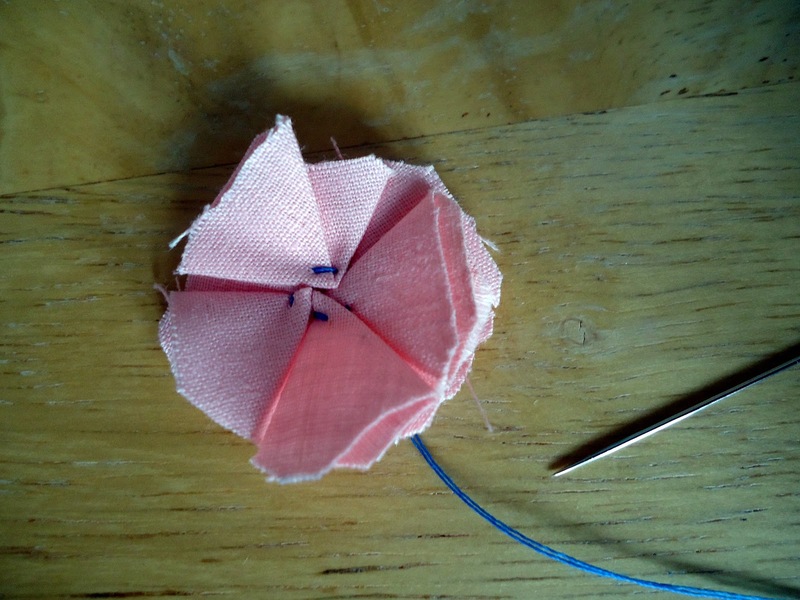 A spool of thread makes good sized circles for fabric flowers. 1. 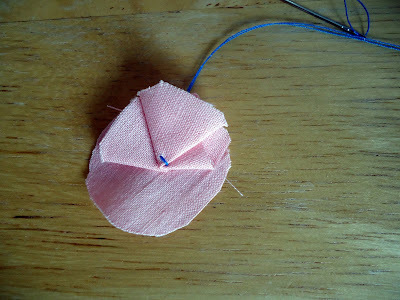 To make a fabric flower, begin by setting aside one of your fabric circles; this will be your base. 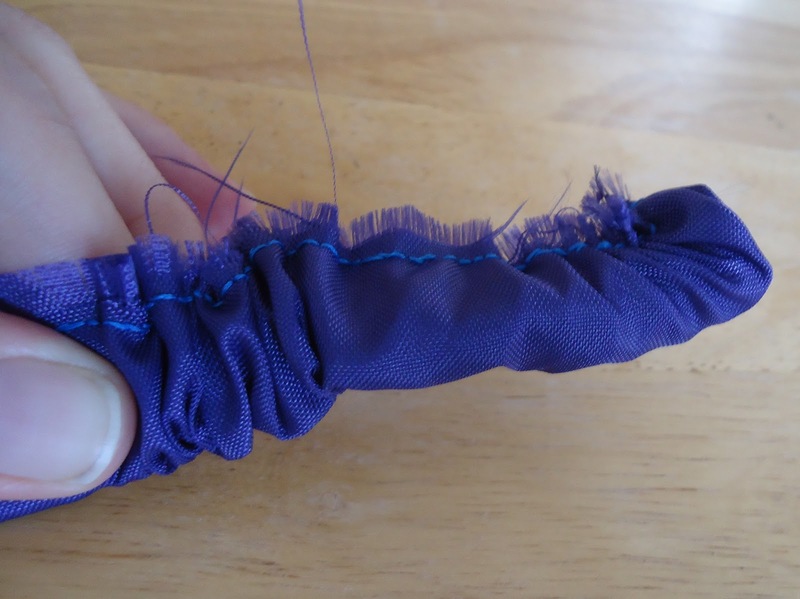 Take another one of your fabric circles, and fold it in half. 2. Fold the circle again, not quite all the way in half this time. 3. 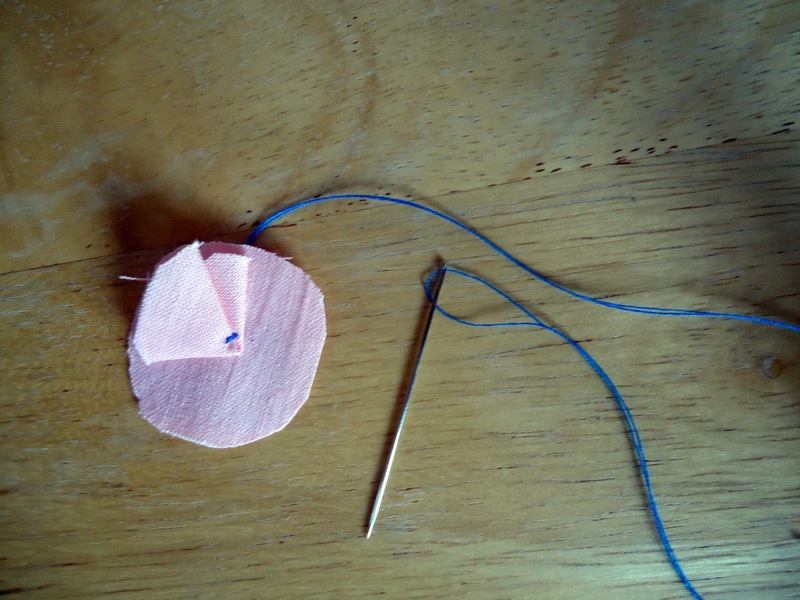 Stitch the corner of the folded circle to your base circle. 4. Fold another circle of fabric the same way, and stitch it next to the first. Continue in this manner, evenly spacing the folded circles, going all around the base. 5. 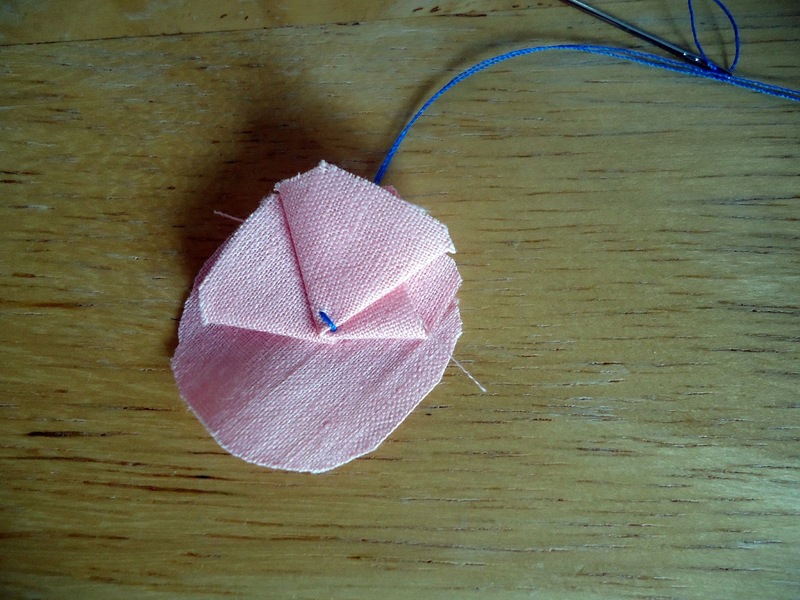 Once all the fabric circles have been folded and attached to the base, you can either leave it as is, or attach a button or other embellishment to the center. This flower has a smaller fabric circle of a contrasting color sewn into the center. 6. Using your fingers, you can separate the petals and fluff the flower out a bit. And you're done with the flower! Now you can move on to making the band. 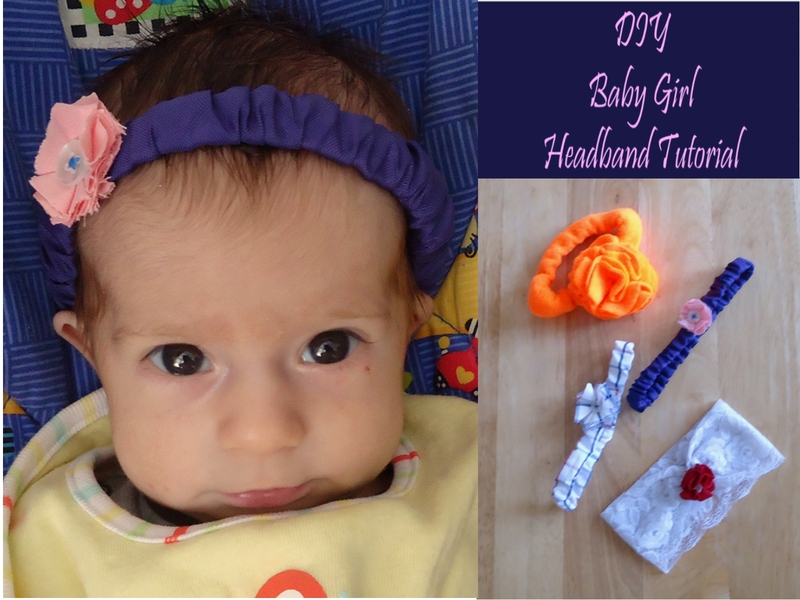 Make a band using a fabric tube (Headband #1), or make a simple band with a length of stretchy fabric (Headband #2). 1. 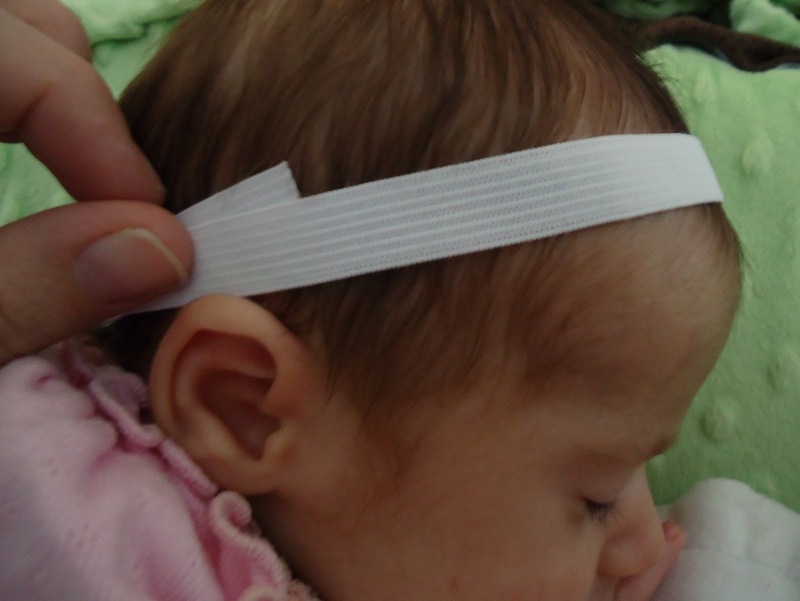 Begin by wrapping your elastic around baby's head where you'd like the headband to lie. 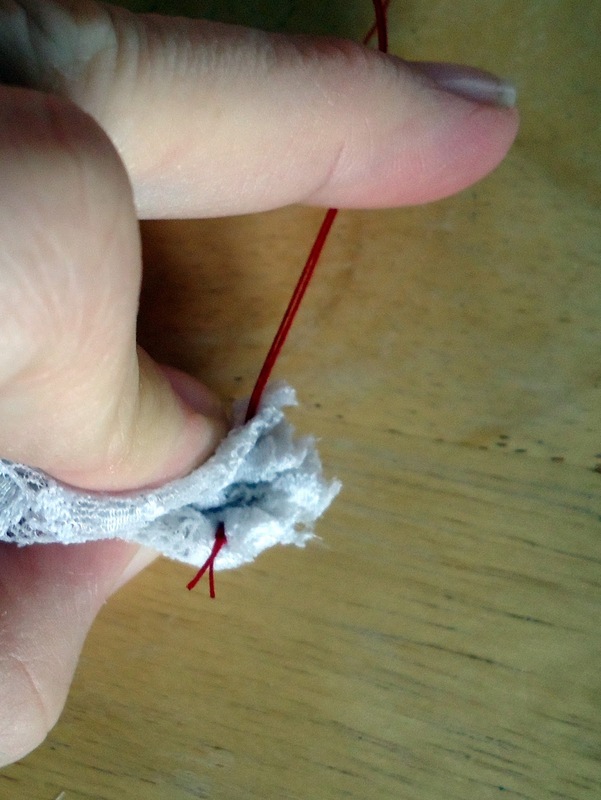 Do not pull the elastic tight while doing this. 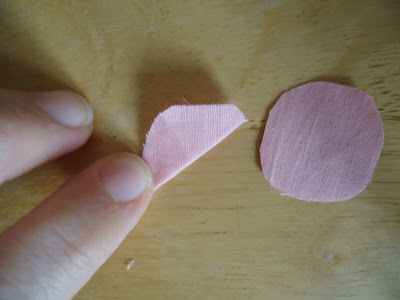 Mark this circumference on the elastic, and then cut the elastic to a length that is 1/2 inch shorter than your mark. 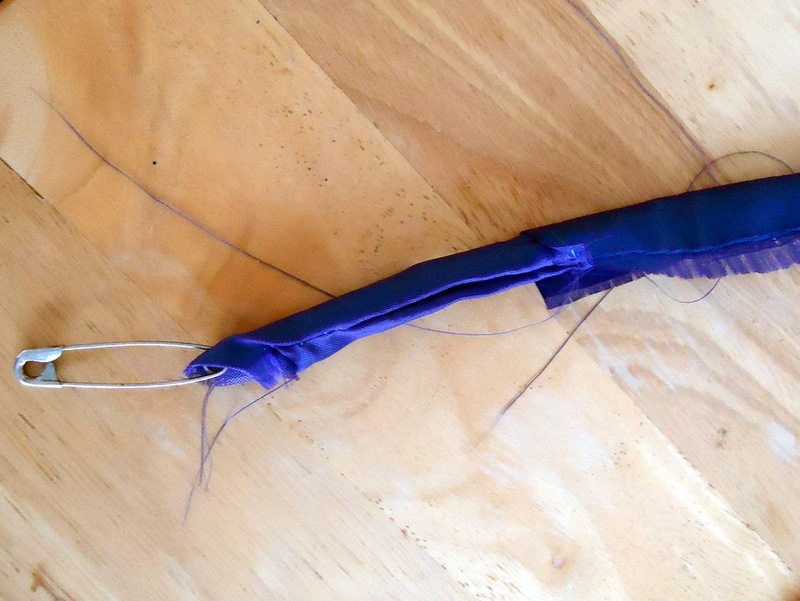 It was 14 1/2" around Lily's head, so I cut my elastic to 14" long. I recommend measuring your baby's head while she's sleeping by the way. 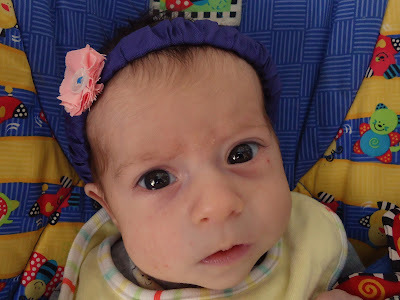 Or maybe I'm the only one with a crazy baby who wont hold her head still? 2. 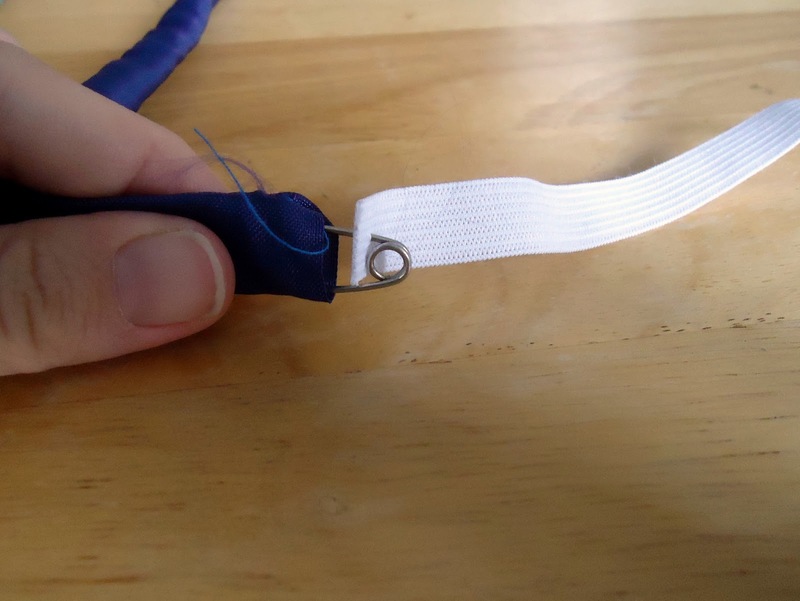 Cut a strip of fabric that is 2" wide and 10 inches longer than your elastic. 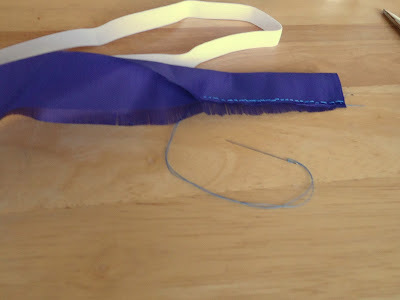 For example, my elastic ended up being 14" long, so I cut my fabric strip to 24" long (14 + 10 = 24). 3. 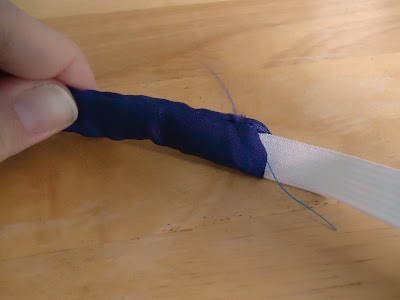 Folding your fabric strip in half lengthwise, begin sewing down the edge of the strip to create a fabric tube. Be sure you have the good side of your fabric on the inside. 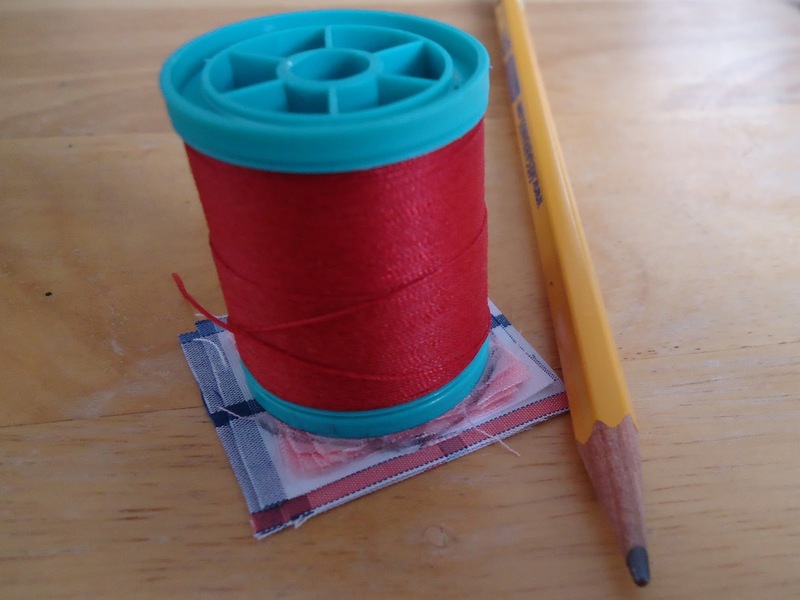 I have started sewing down the edge of my tube. 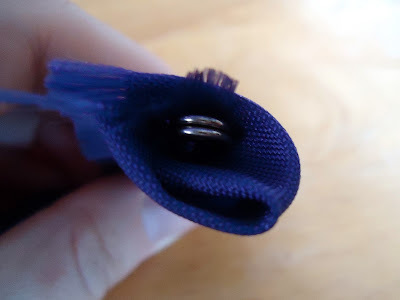 You will want the good side of the fabric to be on the inside of the tube, because it will be turned inside out to hide the stitching. 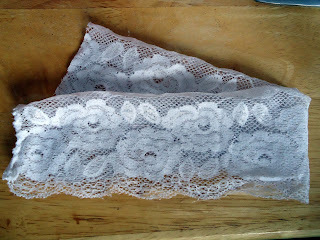 I know a sewing machine could probably get the job done faster, but I decided to hand stitch my headbands. 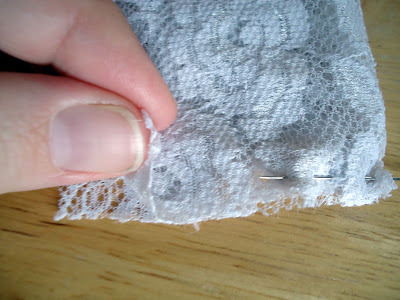 I used a back stitch to sew along the edge of the tube. 4. Once you have stitched all the way down the side, turn the tube right-side out. 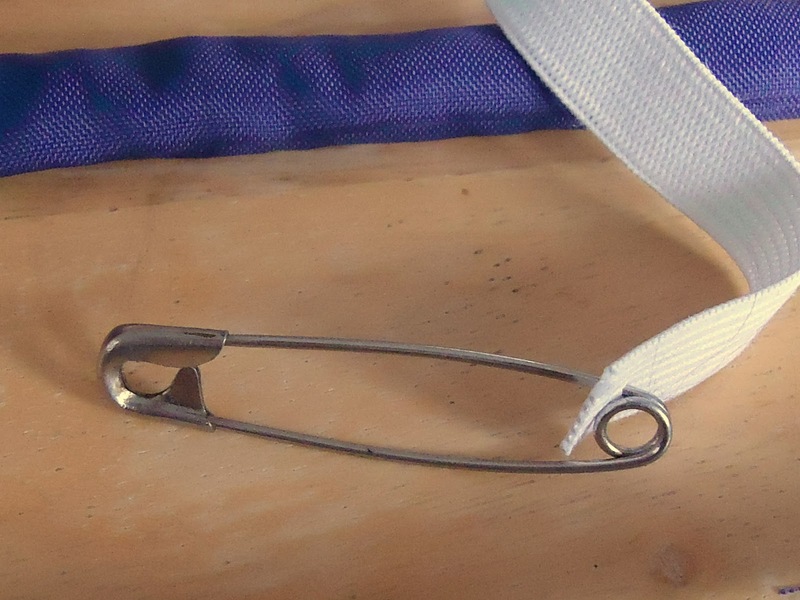 The best way to do this is to attach a safety pin to one end of the fabric, and then feed the pin through. 5. Attach the safety pin to the end of your elastic, and feed the elastic through the fabric tube, being careful not to pull it all the way through. You want to leave both ends of the elastic hanging out. 6. 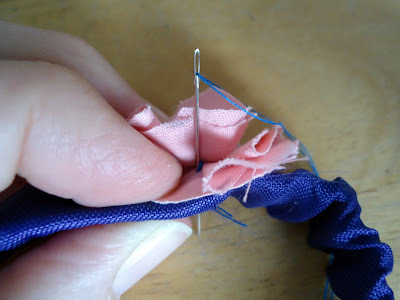 Stitch the ends of the elastic together. 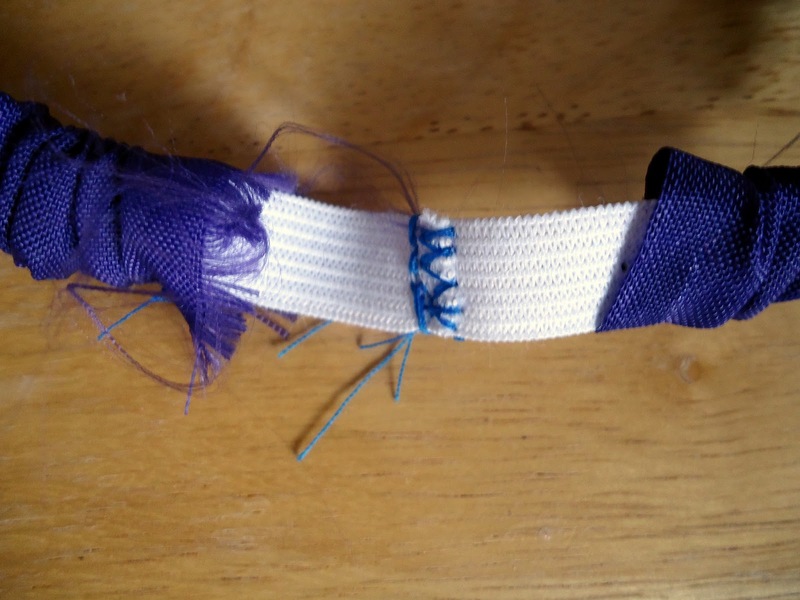 I used a combination of a zigzag stitch and a back stitch to secure my elastic. I don't think it really matters what type of stitch you use though. Just sew the heck out of it so it doesn't come apart. 7. Now tuck one open end of the fabric tube into the other, covering the elastic. You will be attaching the fabric flower here in order to cover these open ends. 8. Stitch your fabric flower to the headband, placing it over the overlapping ends to cover the seam. And that's all there is to it! This is a very fast project to make. 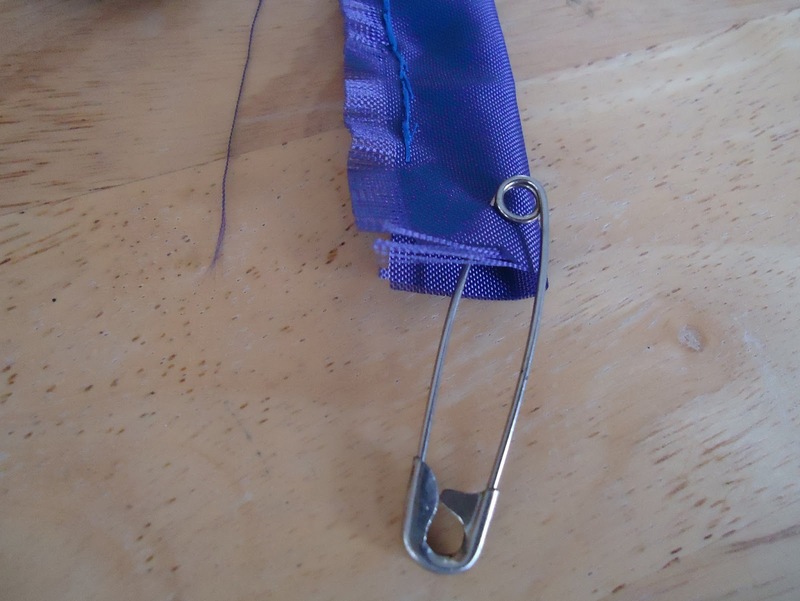 I did mine in a couple hours, and I was hand sewing, so I imagine it would take no time at all if you used a machine! For this simple headband, all you need to do is find lace elastic, some pretty stretchy fabric, or even a length of pantyhose. 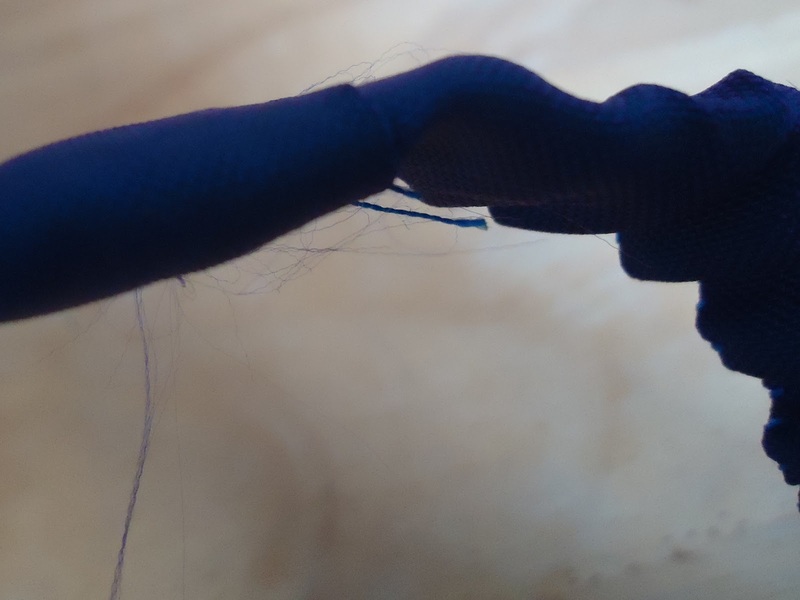 This piece of stretchy lace came off a tank top I wasn't wearing anymore. 1. Cut the 2" wide strip of fabric to the length appropriate for your baby's head. 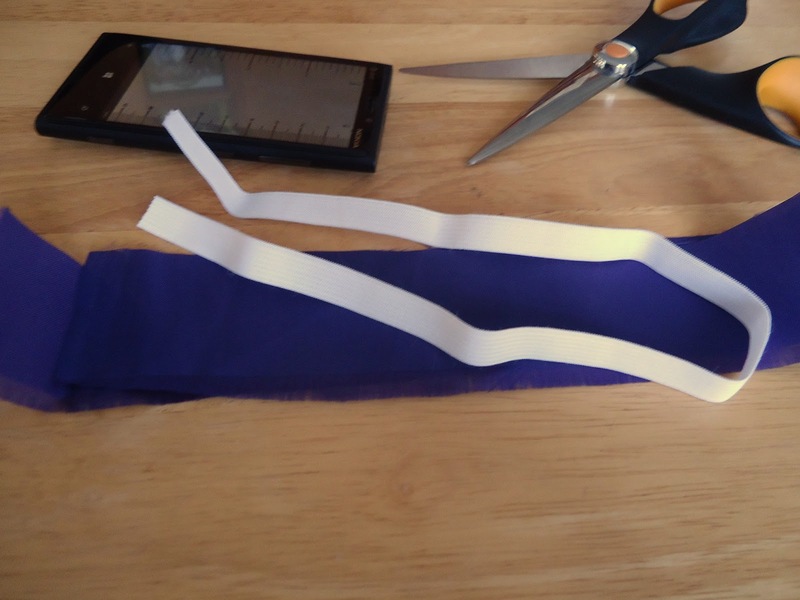 To do this, follow the same procedure as measuring elastic in Headband #1: wrap the strip around baby's head where the headband will lie. 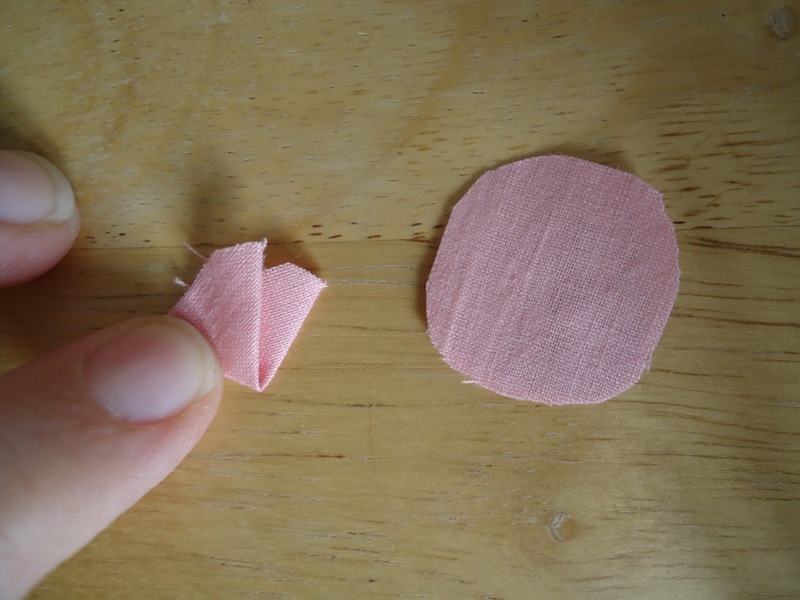 Mark off circumference of your baby's head, and cut the strip 1/2 inch shorter than the mark. 2. Fold the strip in half, with the short ends together. 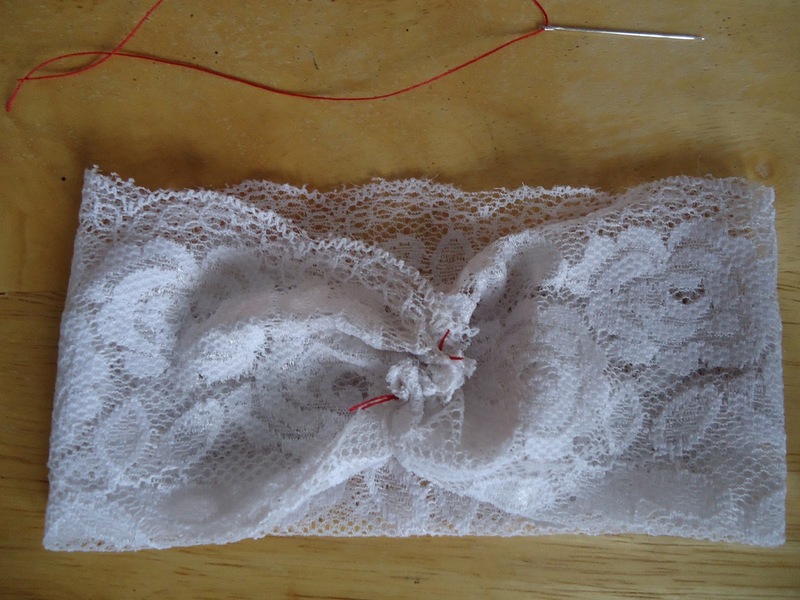 Stitch the ends together, bunching the lace up on the thread. Tie thread tightly to secure the bunched ends. 3. 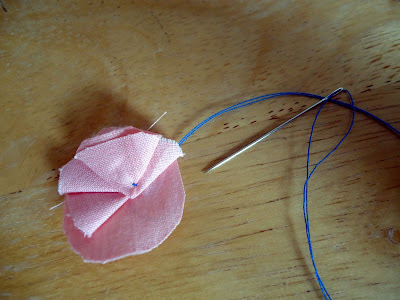 Attach a fabric flower over bunched ends in order to conceal them. Oh, here are a couple other headbands I made! The fabric for this headband came from a button-down men's shirt that I upcycled into a maternity top. I had these scraps left over from it. This is Lily's hunting headband. 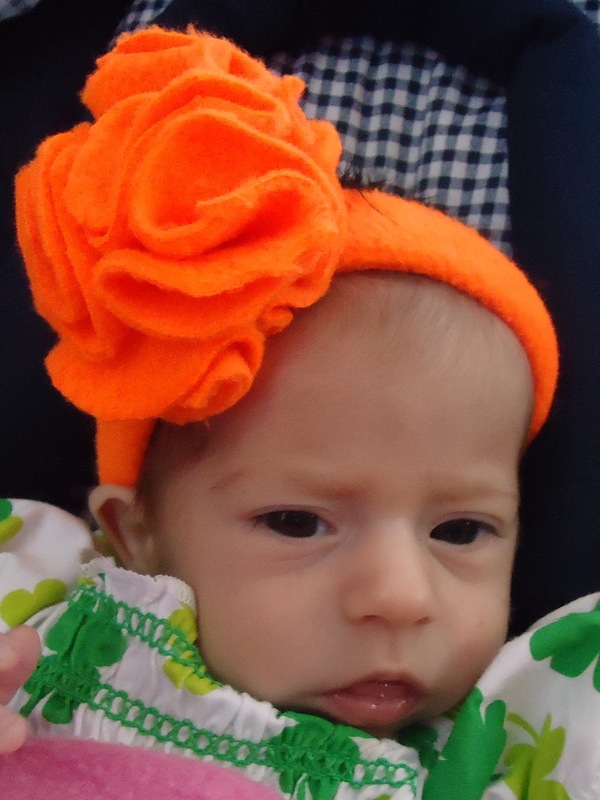 This is my first girl, so I may be going overboard with the pretty headbands. Nah, you can never have too many pretty headbands. Don't forget to register for the Healthy Life Summit! 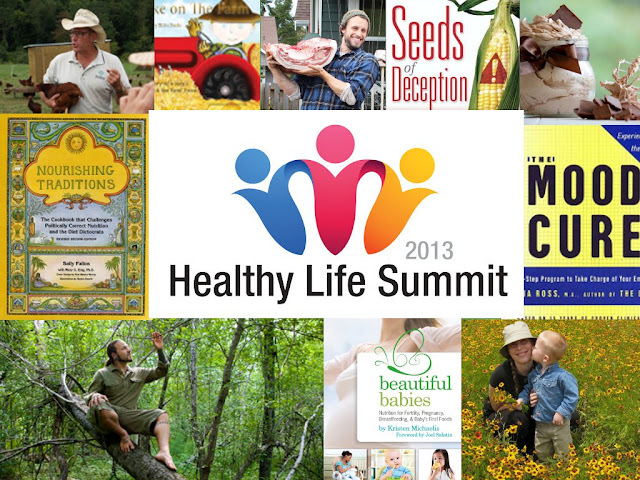 This free online conference runs from March 24-30, 2013, and features all kinds of health "rock stars" discussing organic and natural food lifestyles. Lovely tips for making baby headbands !! Learn more about classic men's headbands at kooshoo for yoga & other exercise. The Arts are perhaps more looked after, and certainly more talked about, than they have ever been before, and the beautifying of houses, to those to whom it is possible, has become in some cases almost a religion, so little is known of the actual designer and maker of those familiar things which contribute so much to the comfort and refinement of life — of our chairs and cabinets, our chintz's and wall-papers these details. If someone want to learn more about the baby girls headbands I think this is the right place for you! First of all, baby is damn damn cute. Loved her smile! Thanks for this wonderful piece of information you've shared! If you are looking for Best Sewing Machines to sew this kind of fabric, it might be the right place to look for! Hey everyone, baby is damn adorable and thanks for providing such great piece of knowledge. If you are looking for some serious photography work feel free to visit our blog. You have to get the best photography team to make it up your mark! Well this is one of a kind and a good read too. It actually reminded me of my baby when she has no hair and I really wanted her to wear some hair clips so I decided to buy some of those non slip headband from https://hairclippy.com/baby-headbands and everyone can recognize that she is a girl.